Come view this Quintessential New England ranch located in the heart of Holliston near the Sherborn line. This home has been lovingly cared for and boasts a number of upgrades. Renovated gourmet kitchen with an abundance of cherry cabinetry, granite counters, ceramic flooring and SS appliances. Separate dining area with wood flooring and a slider leading out to a patio and a fabulous outdoor entertaining area with a fire pit. Spacious living room features wood flooring, brick fireplace, recessed lighting and a picture window. Three good sized bedrooms with hardwoods complete the first floor. The basement adds significant square footage and is a great space to sprawl out - finished with carpet, a wood stove , storage and the laundry area. A detached over sized garage and storage shed complete this beautiful home!!! All newer blinds, central air, HW tank has been replaced and the house was painted last year. 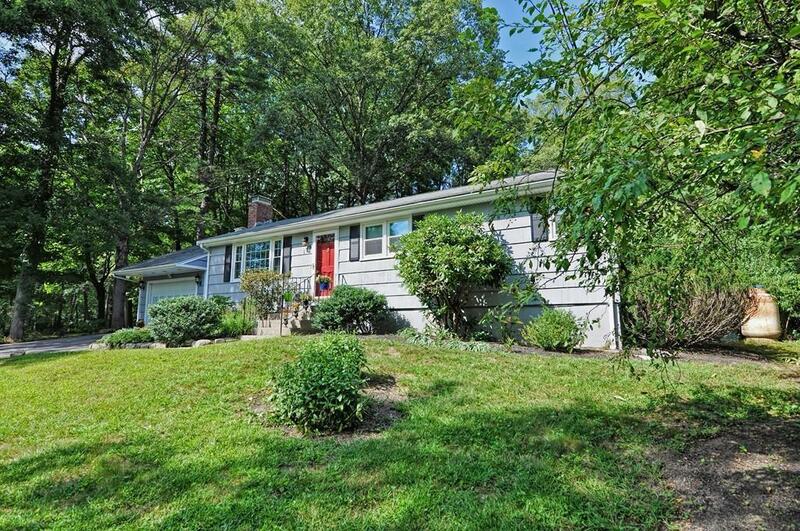 You will find no better value in Holliston- A MUST SEE!!! !